ABB Australia ’s new boiler optimisation service known as Boiler Fingerprint has reduced fuel costs at a chemical plant in the United States. The new ABB boiler optimisation service known as the Boiler Fingerprint was performed on four small industrial boilers at the Arkema chemical facility at Calvert City, Kentucky, a site which includes the largest HFC-32 refrigerant production plant. The payback time for Arkema was a matter of weeks and the boiler efficiency improvements and fuel savings are sustainable, year on year. The results were impressive and the return on investment was rapid that Arkema are in discussions with ABB Australia to roll out Boiler Fingerprint at other sites among the 36 chemical manufacturing facilities it operates worldwide. The Boiler Fingerprint is a service product that builds on ABB Australia’s expertise in boiler and process optimisation to improve the operating efficiency and reduce the fuel consumption of industrial boilers. 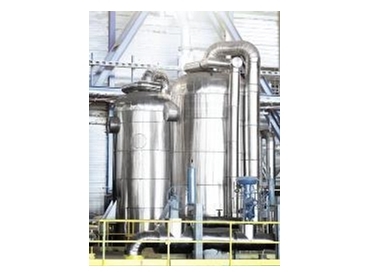 The Boiler Fingerprint aims at industrial facilities, which rarely have the requisite boiler expertise onsite. The Boiler Fingerprint is a three-step programme for diagnosing inefficiencies, implementing improvements and ensuring that the improvements are sustained over time. It begins with a diagnosis to compare boiler performance with industry standards and boiler capability. From this, a performance benchmark for the boiler is generated and an improvement plan drawn up. Once the boiler has been optimised, additional services are available to ensure that the improvements are sustained. The Boiler Fingerprint is currently achieving similar levels of success in other installations in the United States and is to be rolled out worldwide in 2009.